Financial data firm Bloomberg is now providing the HB10 crypto market index launched by crypto exchange Huobi on its terminal service. The exchange said on Thursday that users of Bloomberg Terminal are now able to track the aggregated performance of the top-10 cryptocurrencies that are traded on Huobi Pro – now the third largest exchange in the world by trading volume, based on data from CoinMarketCap. Huobi launched HB10 index last month, which uses weighted samples to track a pool of top-10 crypto assets traded on its platform in real-time against tether (USDT), a U.S. dollar-pegged cryptocurrency, based on their liquidity and market capitalization. The exchange soon after launched an exchange-traded fund that uses the index as a benchmark to allow investors to invest in a variety of assets instead of buying into just one at a time. In addition, trading data of nine cryptos against USDT on the Huobi exchange will also be listed on Bloomberg Terminal, including bitcoin, litecoin, bitcoin cash, ethereum, ethereum classic, XRP, dash, EOS and zcash. The new addition comes just a month after Bloomberg added a crypto index to its terminal through a partnership with Galaxy Digital, a digital assets merchant bank headed by billionaire Michael Novogratz. 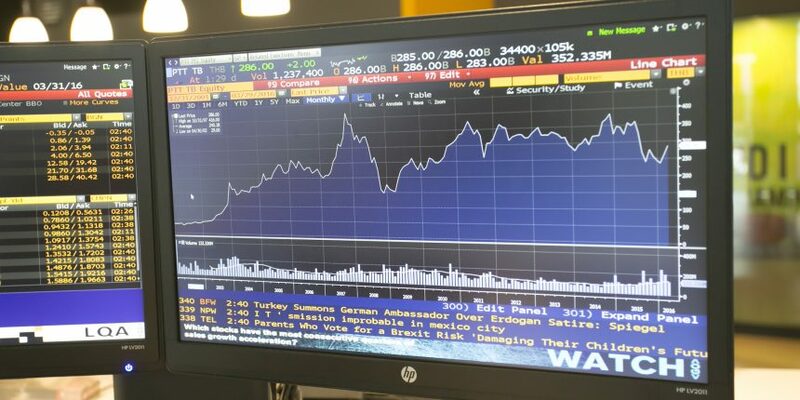 Currently, Bloomberg Terminal also tracks the prices of bitcoin, XRP, litecoin and ethereum using data from U.S. crypto exchanges.